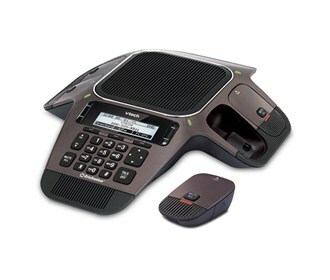 The VTech VCS754 is a conference phone with four DECT 6.0 wireless microphones featuring Orbitlink Wireless Technology™ that allows everyone to collaborate beyond the conference table. 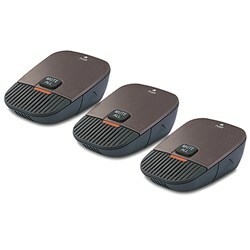 It delivers HD voice quality and up to 8 hours of talk time and up to 70 hours of standby time for each microphone. 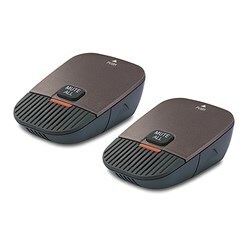 The VCS754 features Dynamic Noise Reduction technology, delivering free flowing and productive conferencing. The microphone coverage is perfect for small to midsize conference rooms and is a flexible solution for most conference rooms. The VTech VCS754 has many exciting features for users of all types. You can extend the lifetime of your VTech VCS754 with the purchase of a FactoryOutletStore Factory Protection Plan. 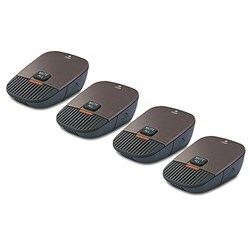 See the VTech VCS754 product video and gallery images above for more details. 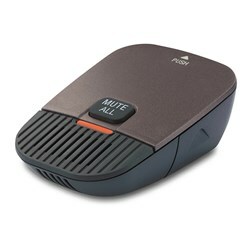 FactoryOutletStore stocks a full line of accessories like Replacement Microphone, Replacement Microphone (2 Pack), and Replacement Microphone (3 Pack) for the VTech VCS754. The VTech VCS754 is sold as a Brand New Unopened Item.